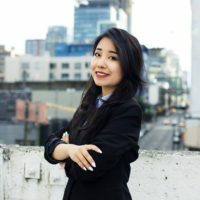 Dani Hao is the Communications Manager at Procurify. She is passionate about telling the stories of innovative companies who are challenging the status quo, and about leadership, change management and being bold and fearless. This interview is taken from an episode of the Spend Culture Stories podcast. In this Women’s Day special episode, Tania Seary, the founder of Procurious and #WomeninProcurement speaker shares how to create a fulfilling career in procurement, embracing diversity, and what the next generation of procurement professionals need to know.